In many ways the Population Dynamics and Modelling theme underpins everything the BTO does. To help understand why populations recorded by the BBS and other surveys change, we need to know how many individual birds are hatched and how many die each year. This information allows us narrow down the range of potential factors that are likely to be involved. This in turn means we can give better advice to conservation organizations and others. 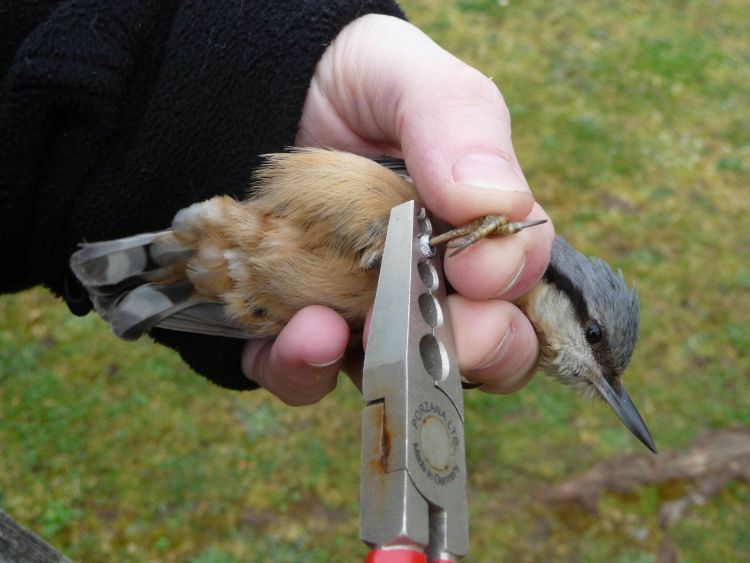 We get information on the number of young birds produced each year from the Nest Record Scheme and on the likelihood of individuals surviving from year to year by catching and ringing birds as a part of the British and Irish Ringing Scheme. Many ringers also participate in the CES and RAS. Results from these surveys form part of our Integrated Population Monitoring programme and are reported on each year in the BirdTrends Report . As such, work on this theme relates directly to our monitoring strategy. One of the challenges we are tackling is in how to make best use of the valuable data our volunteers collect. Recent developments in statistical techniques mean that we can, increasingly, combine our different datasets to extract more information on population change. This means that we can use datasets where we have good information to support those where data might be poorer. By doing this we can gain a better, and more complete, picture of the different factors that influence a bird population. To achieve this, we are continuing to work closely with statistical colleagues, particularly at the National Center for Statistical Ecology, and participate in the Euring Analytical Meetings. A major new study led by BTO, working with the Wetland Bird Survey (WeBS) partners, JNCC, RSPB and in association with WWT, provides detailed information on the importance of Great Britain for waterbirds each winter. Since fieldwork started in early 1968, bird atlases have been a periodic feature of the bird surveying landscape in Britain and Ireland. They have provided countless hours of enjoyment for their volunteer participants and yielded data crucial for conservation and research activities. BTO and our collaborators have been working with these data for many decades, but now BTO is taking the bold step of making the full archive of distribution data freely available for anyone to use, as described in a new ‘data paper’ published in the journal Global Ecology and Biogeography. The Cuckoo is quickly declining from the English countryside, but this new study using BTO data shows that despite its decline in the south of the UK, it is increasing in the Scottish Highlands, the population is increasing.